Warm greetings from the team at China Carbon Forum, and wishing all of our friends a Happy New Year. This is the final update from CCF for 2016, and we look forward to seeing you all in the new year! While the recent US election result has brought some uncertainty to international climate efforts, it should not be forgotten that the past 12 months has seen significant progress. The landmark Paris Agreement was signed last December, the first international treaty involving commitments from all major emitters, including China. The Paris Agreement was fast-tracked by world leaders, and entered into force on November 4th this year. Other key agreements have been reached in recent months, including developed and developing countries reaching agreement on curbing increasing emissions in the aviation sector. The UN’s International Civil Aviation Organization (ICAO) signed an agreement that would see carbon neutral growth in emissions after 2020. Airlines will be obligated to offset growth in their emissions after that point. 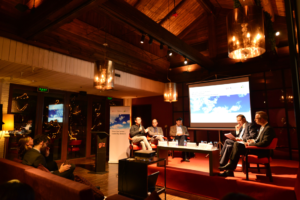 CCF helped to jointly organize an event on China’s role in curbing aviation emissions, including through the forthcoming national emissions trading scheme (see below). An agreement was also reached under the Montreal Protocol to phase out the use of HFCs, an alternative to ozone-depleting gases with high global warming potential. The deal should help to avoid additional warming of about 0.5 degrees by 2050, which is an important contribution. CCF Research Manager Huw Slater has written on the subject here. 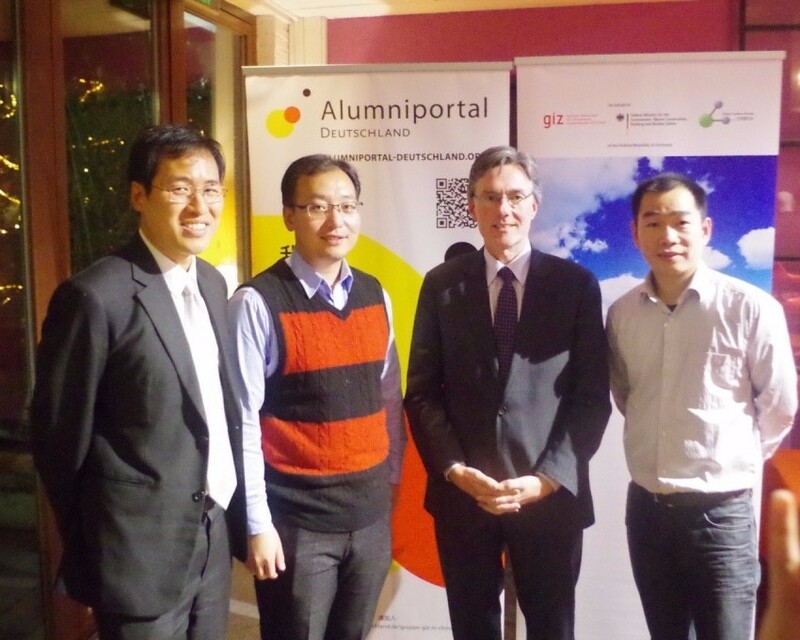 China Carbon Forum and GIZ also continue the popular Low Carbon Leadership Network series. The most recent events have focused on the Marrakech COP, emissions trading and green finance. China Carbon Forum will continue to inform you about important developments in China’s climate policy and low-carbon development. December 1 panel discussion on the recently-completed Marrakesh COP, including: Chai Qimin (NCSC), Tom Van Ierland (DG CLIMA), Wang Yi (CAS), and Felix Matthes (Öko-Institut). November 3 panel discussion jointly organized with GIZ, the Alumniportal Deutschland program and the Emerging Markets Sustainability Dialogues. Panellists: Nina Roth (GIZ), Liu Jialong (Green Finance Committee), Joachim von Amsberg (AIIB), Guo Peiyuan (Syntao). China: deal maker in tackling aviation emissions? 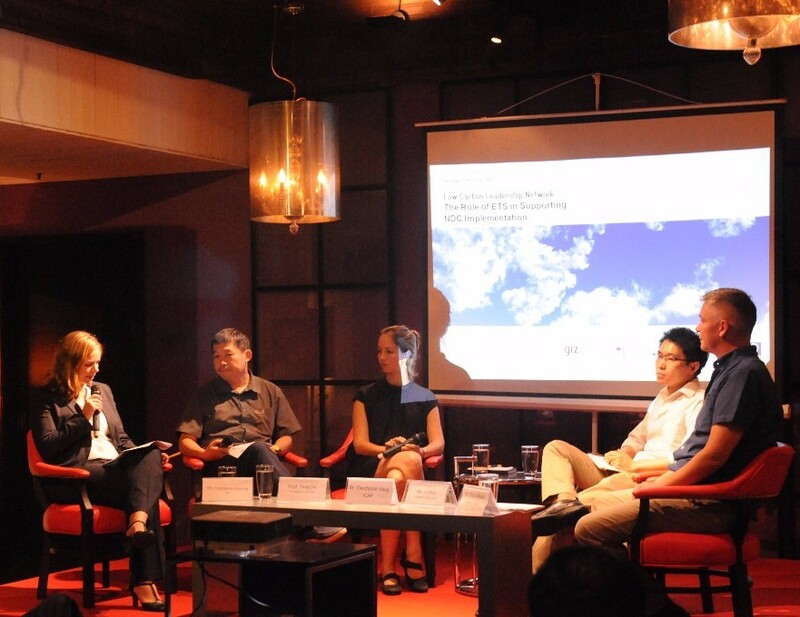 In August, CCF helped to organise an event on the important issue of emissions in the aviation sector, together with Greenovation Hub and EU-based NGO Transport & Environment (photo: GHub). 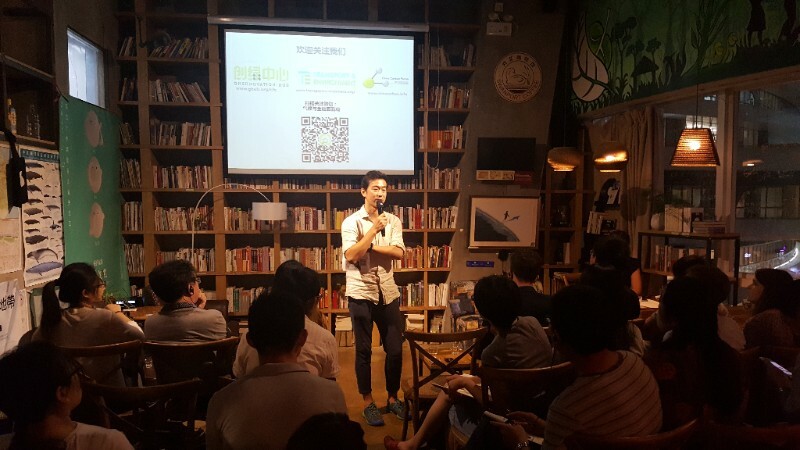 July 26 panel discussion with the International Carbon Action Partnership, including Marc Allessie (NEa), Constanze Haug (ICAP), Teng Fei (Tsinghua University), Stian Reklev (Carbon Pulse), Li Shuo (Greenpeace). ICAP ETS Handbook download here.